The proposed Corracon Wind Farm would consist of five turbines and associated infrastructure, such as access tracks and an on-site electrical substation. The proposed farm is approximately 2km north of the existing Dunmore Wind Farm in the townlands of Corracon, Drakestown and Anaglog near Ardee, Co. Louth. What is the name of the company making this planning application? Where can I find out more about them and their plan? Gaelectric. You can read their complete proposal here. How tall will the turbines be? The turbines will be up to 126m high from their base to the point where the blades reach their highest point. They will each be the same height as the Leaby Cross turbine, which is significantly bigger than the nearby Dunmore turbines (two of which are 75m high and two of which are 81m high). For comparison’s sake, Liberty Hall is 59m tall and the Dublin Spire is 120m tall. Imagine two Liberty Halls stacked one on top of another and multiply that by five turbines, and you’ll start to get an idea of the huge scale of these turbines, which will dominate the landscape for miles around. Approximately 100 dwellings are located between 500m and 1km of the turbines, and 188 dwellings are within 1.5km. Residents of the Anaglog, Ballapousta, Belpatrick, Corracon, Drakestown, Funshog, Hunterstown, Kilpatrick, Mount Oriel, Rathlust, Shanlis, Smarmore and White Mountain areas will be the most directly affected by noise, shadow flicker and visibility, but the wider Ardee community will be affected by the unsightly visual impact, a devaluation in house prices and the potential for the wind farm to kill further growth in the area (see below). How far will my house be from the turbines? Will I be able to see the turbines from my house? Email Peter Cunningham in Gaelectric at pcunningham@gaelectric.ie and ask him to calculate the distance from each turbine to your house by giving him your Eircode. You can also ask him to send you a mock photo of how the turbines will look from your site. Aren’t there rules about how far a turbine can be built from a house? The setback distances allowed under the national guidelines are 500m and over. However, the Irish Doctors’ Environmental Association has said that the setback distance of 500m is not enough and that it should be increased to at least 1,500m. This increased setback distance would be more in line with other European standards and a growing international consensus. How noisy will the turbines be? The 2006 Wind Farm Planning Guidelines suggest a noise limit of 45 decibels (43 decibels at night). Gaelectric says the noise levels will be within these limits. However, the World Health Organization has set the European target limit of outdoor night noise levels at annual average of 40 decibels in its new guidelines. This would protect the public, including the most vulnerable, such as children and the elderly. Will the wind farm affect my health? Both the audible and the infrasound noise from wind farms seem to have the biggest health impact. Talking to the Irish Examiner in March 2015, Professor Alun Evans, attached to the Centre for Public Health at Queen’s University in Belfast, said, “Because of its impulsive, intrusive, and sometimes incessant nature, the noise generated by wind turbines is particularly likely to disturb sleep … Children who are sleep-deprived are more likely to become obese, predisposing them to diabetes and heart disease in adulthood. As memory is reinforced during sleep, they also exhibit impaired learning.” Professor Evans said that adults who are sleep-deprived are at risk of a ranges of diseases, particularly “heart attacks, heart failure, and stroke, and to cognitive dysfunction and mental problems”. Will the wind farm affect the value of my house? I live more than 1km from the proposed turbines or I won’t be able to see them. Doesn’t that mean I won’t be affected by them? These turbines will affect the entire Ardee and Collon communities. Why? Because draft legislation from July 2016 stipulates that there should be a minimum distance between a house and a wind turbine of 10 times the height of the turbine – in this instance, 1.2km. If these turbines are built and the legislation is passed, the effect will be to freeze the community within the 1.2km radius of each turbine, as no new houses will be able to be built. This means many families in the farming community will not be able to pass on land to their children for them to build homes on. At a community level, this means a large part of the vital hinterland for Ardee and Collon will stagnate, which will have a negative effect on local businesses. How can I object to the development? Gaelectric expects to apply for planning permission in the fourth quarter of 2016. Once they have filed for planning permission, you will have 30 days to submit your objection to Louth County Council. Anyone can lodge an objection and it only costs €20. We will be holding an objection clinic to walk people through the process. See CitizensInformation.ie for more information on how to lodge an objection. How else can I help fight this development? Sign our online petition to express your objections to this development. We will present the petition to Louth County Council. 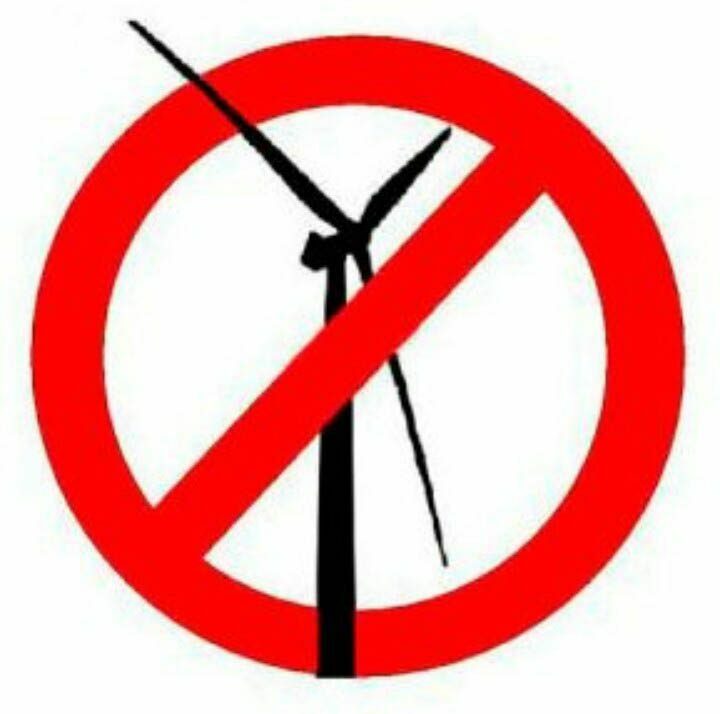 Show your support and help spread the word about this proposed development by putting up a ‘no turbines’ sign at your house. You may have already seen many of these signs in the community. Email us at ardeewindactiongroup@gmail.com and we will deliver a sign to you. Contact your local TD or Louth County Councillor to let them know that you are opposed to this development (click on the names for their contact details). TDs: Gerry Adams, Declan Breathnach, Peter Fitzpatrick, Imelda Munster and Fergus O’Dowd. Ardee electoral area councillors: Tom Cunningham, Colm Markey, Pearse McGeough, Dolores Minogue, Liam Reilly and Jim Tenanty.